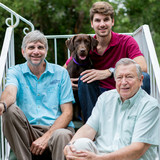 Woodruff is a proud flooring contractor servicing in and around Orlando, FL. We provide quality tile installations, hardwood flooring installations, laminate flooring installations, staircase flooring installations, and floor removal services. Our certified flooring contractors are experienced and able to assist you with your flooring installation project from start to finish. 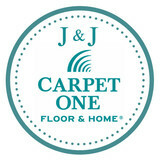 We are a full service flooring sales and installation veteran owned and operated company with over 25 years of experience. Specializing in Tile, Carpet, Laminate, Hardwood floors, Baseboards, Kitchen cabinets, Granite counter tops and bathroom remodels. What kinds of services do hardwood flooring installation professionals in Oviedo, FL provide? Find hardwood floor experts in Oviedo, FL on Houzz. Search the Professionals section for Oviedo, FL hardwood flooring installers and dealers or browse Oviedo, FL photos of completed installations and look for the professional’s contact information.